Ready for the Ride of your Life? 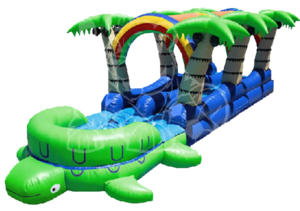 Check out our New Wild Tortoise 2 Lane 36 ft long Slip N Dip with Inflatable Pool Floor. Race to the pool with a big SPLASH!! !